Easier option: 7 km, 734m ascent, 394m descent, 3h30 approx. Harder option: 13 km, 804m ascent, 822m descent, 5h30 approx. Easier option: 5 km, 421m ascent, 394m descent, 2h30 approx. Harder option: 11 km, 619m ascent, 619m descent, 4hrs approx. Easier option: 3 km, 225m ascent, 226m descent, 1h30 approx. Harder option: 10 km, 500m ascent, 492m descent, 4h30 approx. Easier option: 6 km, 266m ascent, 707m descent, 3hrs approx. Harder option: 9 km, 312m ascent, 767m descent, 4hrs approx. Walk: 10 km, 515m ascent, 518m descent, 3hrs approx. Walk: 9 km, 556m ascent, 552m descent, 4hrs approx. Walk: 13 km, 644m ascent, 659m descent, 6hrs approx. 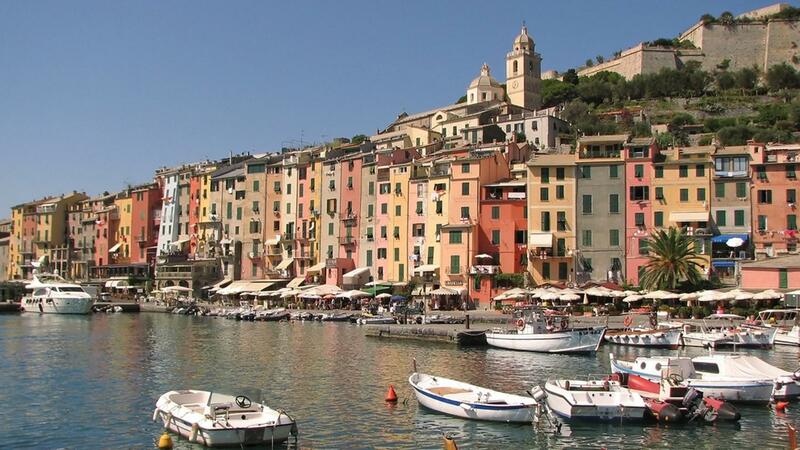 You will spend your first two nights in Camogli, in a good 2* hotel, the next night in Bonasosola at another lovely 3* property, then three nights at a charming family run 3* hotel in the heart of Monterosso and one night at a lovely 3* seafront hotel in Portovenere. Depending on availability we use, amongst others, the following hotels. Certain hotels are available at a supplement. This small and charming family run 3 star hotel is located on a narrow street in the historic centre of the old fishing village of Monterosso. Hotel Degli Amici is a 3 star hotel located in the historical centre of Monterosso, in an extremely peaceful area, surrounded by vineyards and olive trees, just 150 meters from the sea. 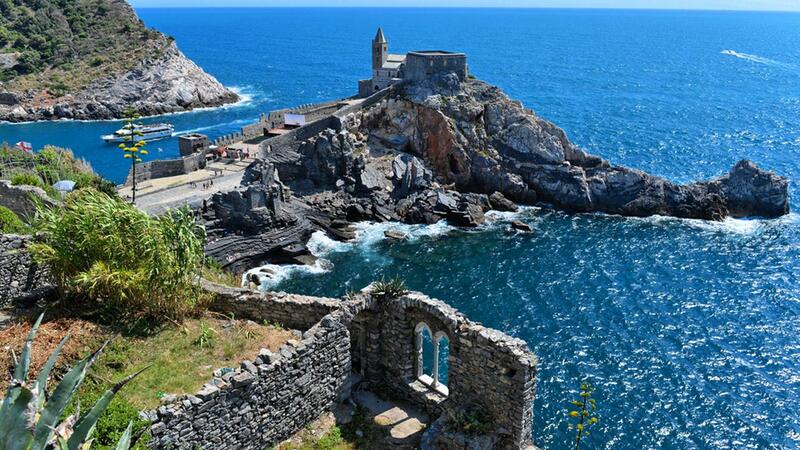 This lovely small hotel is located right on seafront and the restaurant terraces have wonderful views of the Gulf of Portovenere and Palmaria Island. With great views of the harbour Hotel Belvedere has been welcoming guests for over 40 years. The small but comfortable rooms all have fantastic views from their balconies and the hotel is perfect for experiencing the best of Portovenere. Single rooms are available but attract a supplement. This is a great holiday for solo walkers. If you are travelling solo the holiday is slightly more expensive as some costs are not shared. 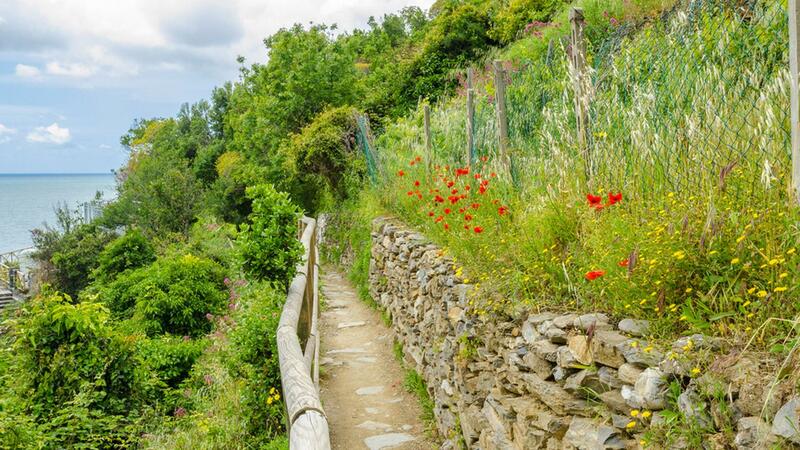 The Cinque Terre is stunning year-round but the best times for walking are Spring and Autumn as the summer temperatures can be very high. If you require single rooms within your party we are happy to accommodate, although a single supplement is payable. Solo walkers are also welcome for a supplement. This holiday is graded easy to moderate because although the daily walks are relatively short (between three and seven hours walking each day) the terrain is very hilly and summer temperatures can be high. The walks follow ancient footpaths and mule tracks. Many are made up of steep stone staircases and some are literally cut into the cliff so if heights aren’t your thing this may not be the best trip for you. Some of the paths are very steep so you should be used to walking ascents to get the most from this holiday. Most of the walks can be shortened by using public transport and as you're not moving on each day all walks can be skipped. You will be following way marked trails for many of your walks and we supply very detailed route notes and maps so navigation is generally easy. PLEASE NOTE: Hydrogeological instability in the Cinque Terre region can at times cause the closure of certain sections of the trails. Before embarking on your daily walk please check with your accommodation and also if possible with go to the Cinque Terre National Park website. You will also have access to the Macs Adventure Smartphone App enabling you to follow the route using your phone’s GPS so using this combined with the provided route notes and maps means you should have no problems finding your way. On Days 4 & 7 your bags will be transferred from your hotel and moved onto your next overnight accommodation. We ask you to keep your baggage to a maximum of 1 bag per person (maximum weight 20kg). 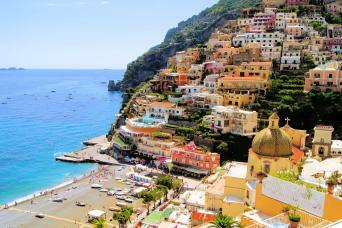 The delicious Italian food and wine available locally is undoubtedly a highlight of this holiday. The price of your holiday includes breakfast each morning. 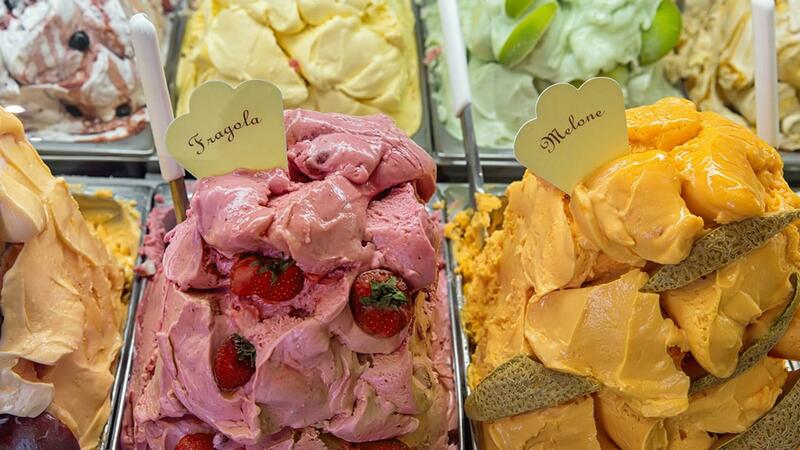 Lunch and dinner are not included so you are free to choose from the available options. The distances and ascents/descents are approximations of the recommended routes. Please be prepared by packing all necessary items, for example proper rain gear (jacket and pants), sunhat, sunscreen. Your information pack has a detailed equipment list which includes standard walking gear such as good walking boots or shoes, warm and waterproof clothes for the cooler months and lightweight clothing for summer, and a daypack. It is a condition of booking with us that you have suitable travel insurance that covers you for cancellation, curtailment, illness or injury. Genoa or Pisa Airports are the most convenient although Florence is also a possibility. From Genoa take a local bus to the centre (Brignole station) then it is s a 40mins train to Camogli (total journey around 1hr). From Pisa take the PisaMover bus from the airport, just a 1km ride into the train station/city centre then it’s a 2h15 train ride to Camogli (total journey approx. 2h30-2hrs). Visit www.trenitalia.it for times, prices and booking. Tickets can be purchased on arrival or online prior to departure. Our pre-departure information pack has detailed public transport information so you will have no problem reaching the Cinque Terre. Buses run every 30 minutes (15 minutes in peak season) from Portovenere to La Spezia and take about 40 minutes and cost 1.90€ single. Alternatively a taxi costs about 40€. From La Spezia trains connect to Pisa, Genoa or Florence Airports as well as other destinations in Italy. Visit www.trenitalia.it for times, prices and booking. The excellent local train service connects all the villages and is what you will use to access many of the walks. Another pleasant alternative is to use the local ferry services to travel between villages (ferries are payable locally). Personal expenses such as lunch, dinner, snacks, wine tasting, drinks, phone calls, etc. Additional nights before, during or after the programme. This walking holiday is graded easy to moderate and involves between three and seven hours of walking each day. On some days there is a choice of walks, or you can take a ferry or the train to shorten your walk. Some of the paths are very steep so you should be in pretty good shape to get the most from this holiday. This tour is not suitable for those with a fear of heights, as some of the walks are along paths close to cliffs. 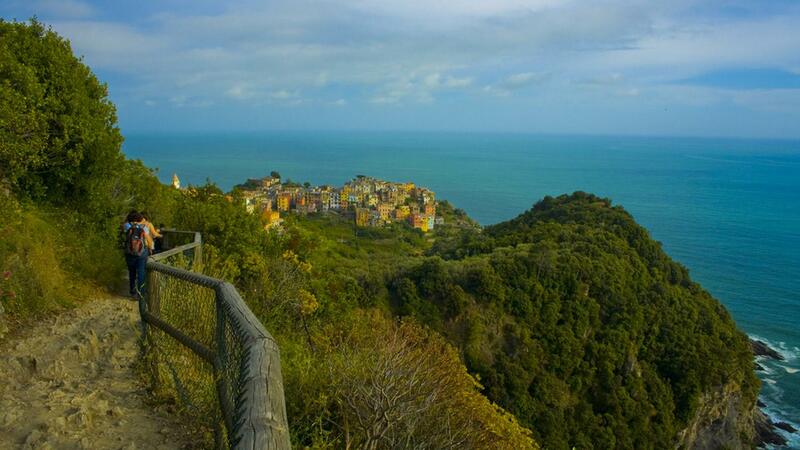 Spring in the Cinque Terre is sublime! April, May and June are absolutely lovely. September and October are also lovely as the coast has that lazy late summer feeling. July and August can be busy and also extremely hot so you'll need to start out early and take plenty of water. On Days 4 & 7 leave your bags at the hotel reception and your bags will be transferred from your hotel and moved onto your next overnight accommodation. We ask you to limit your luggage to one bag of up to 20kg per person. We suggest you book as soon as your plans are finalised as this area is extremely popular. We will always try and accommodate your plans so just ask. You will need good walking shoes/boots, comfortable walking clothes, waterproof jacket and trousers, a daypack and hats/gloves etc. You can access all the locations really easily with public transport. The organisation was excellent. All hotels expected us and the luggage transfers went without a hitch. The two taxis organised for us appeared right on time with no problems. I am 60 and found the walks very enjoyable although initially a bit tough. We found that 4 hours walks took us 6 hours but we didn't feel under any pressure , we just took our time and didn't set out to break any records. We really enjoyed seeing the non tourist parts of the Cinque Terre. Due to the time of year we did find we would reach our destination only a couple of hours before sunset so by the time we checked in and got changed we couldn't really enjoy our location as much as we wanted and just be tourists. The solution was to skip some walks and we ended up doing 4 out of 6. Any age can take these walks on if you take you time. Highly recommended. Although October we managed to swim in the sea nearly every day which was a great bonus. Will do another of these walks next year. We had a great holiday - third Mac Adventure trip. We can trust Macs Adventure to deliver what they promise. Sone improvements in information provided would be helpful. This was our second time on this exact trip and it was as fun and exciting as the first time. I would say that I think that the rating is a little on the deceiving. My husband and I are in decent shape and there were days that were a little tougher than "easy to moderate" hiking. We really enjoyed this adventure although we found some walks quite challenging.My husband and I are seniors who walk and hike a lot.Some sections were very steep and the constant stairs were exhausting.Some directions were confusing...On the walk from Soviore to Vanessa we walked 2 Km's on hard asphalt before we realized we had passed the Reggio turn.Our accommodations were all great and easy to locate. The pick up service was exactly on time and luggage details worked well.Not for the faint hearted and unfit! 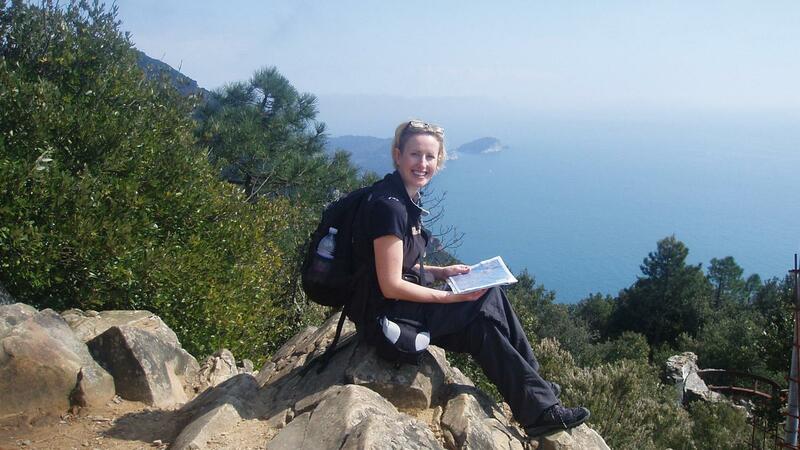 Trip organized in fine detail with lots of options to reduce or increase the hiking. Each day brought new sights, villages and special moments. The five of us thoroughly enjoyed this walk. My four companions had never done a walk before so it tested out the knees of the two girls who had undergone bilateral knee reconstructions less than 2 years ago!!! Due to the multiple options this adventure offered one of them was able to utilise train and boat services on some days. The steep cliff drop/chains were a highlight (Day 1) enroute to San Fruttuosso. We didn't bother with the taxi transfer earlier that day as the walk to San Rosso was not difficult. 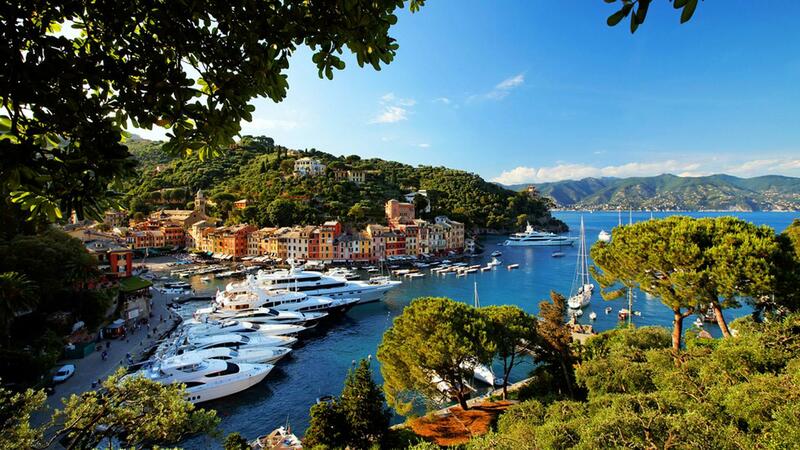 Portofino, The Cinque Terre & Portovenere - Unforgettable! The Cinque Terre hikes were as challenging as they were picturesque and each town in between was exciting to explore as well. The Macs Adventure package was the perfect midpoint between a personal tour guide and planning everything your own, this self guided model was better than I ever expected and one we plan to use going forward whenever we are outside our own country. A need to more clearly define degree of hiking difficulty! I've used Macs Adventures before (Complete Tour du Mont Blanc 2 years ago) and they are really well organized and pay attention to detail. I was really pleased with the upgrade that we chose in Camogli (Hotel Casmona has amazing private balconies overlooking the Mediterranean). However, whether this is a Macs' issue or whether it is the local tour operator whom they rely upon to give a fair assessment of trail difficulty, I believe that most of the trails rated at least a 3 out of 5 degree of difficulty. My spouse has had little hiking experience prior to this excursion and I was trying to choose an outing that wouldn't present a huge challenge for her but still provide the best of the hiking experience. 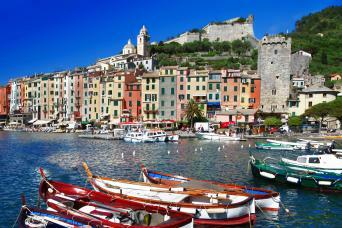 The tour is represented as the Cinque Terre primarily with Portofino and Portovenere as add ons to it. In fact very little of the Cinque Terre was part of this tour. What we didn't realize is that 2/5 of the Cinque terre is inaccessible due to landslides and it has been in this state for some time. We found the directions provided for hiking confusing at times and, just to site an example, at a crossroads high up in the back country the instruction was to "go right uphill". In fact it should have read "go directly uphill". Ordinarily a sign marker indicating, in this case, "Monterosso" was missing and this would have served to unveil the mystery. That day we ended up in a location that was quite different than what we had anticipated. One day we chose an alternative shorter route (took the train from Bonassola to Levanto to cut out the tunnels along the coast) but there were no directions provided to the trail head from the train station and the locals didn't seem to know. Ultimately I used the Google Maps phone app to connect. More information for the alternative route would have been helpful. We lost an hour which ultimately left us exposed on the top of the mountain during an unanticipated thunder storm. Don't get me wrong however, Macs is a great company! Great walking experiences with spectacular views. Lovely friendly hotels. Good maps and directions with some confusions. Third time using Macs and again brilliant service. The trip was varied as we added extra days for relaxation and beach time. Some of the walks were very busy as this is a popular touristy destination. The weather was very hot most days, taking our camelbak was definatly the right call! 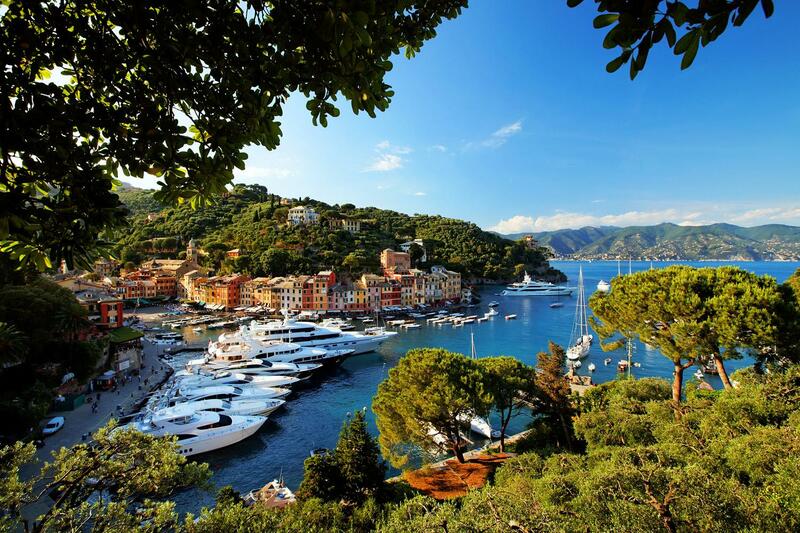 This area is a beautiful part of the Italian Riviera with lots of offer. On the whole the hotels were great, Hotel Modema in Bonasola was our least favourite as they had no air con and the hotel was right next to the train line! Luckily we were only there one night, although I must say the staff were lovely and the outdoor breakfast area was a nice touch. Thanks to Erin and the rest of the rest of the team, Macs is a welcome well oiled machine who we can rely upon to supply a seamless service. 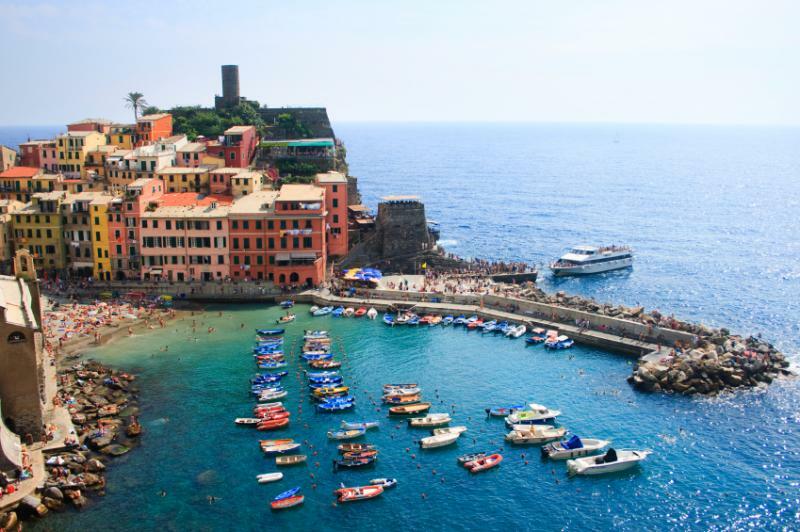 Food, history, culture and wonderful walking through UNESCO World Heritage sites; visiting Portofino, Portovenere and the Cinque Terre national park—you’ve found the classic Italian experience! Coastal and mountain trails abound, with the opportunity to shorten your walks and take either a train or on occasion a local ferry. 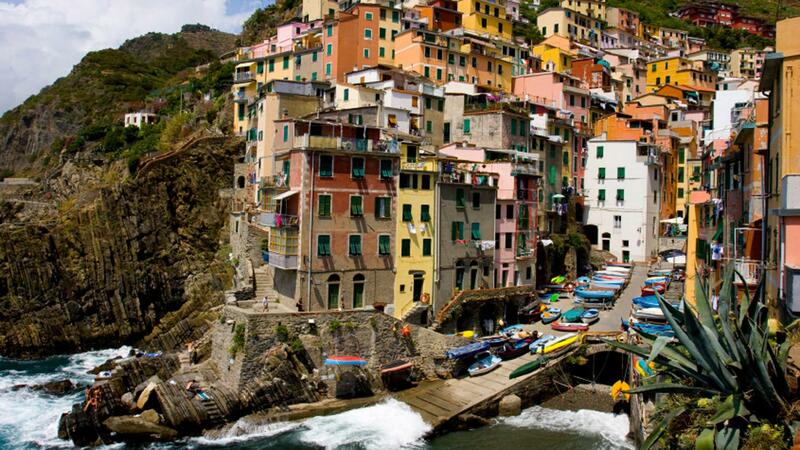 This is the quintessential Cinque Terre experience!